An akamuti favourite! 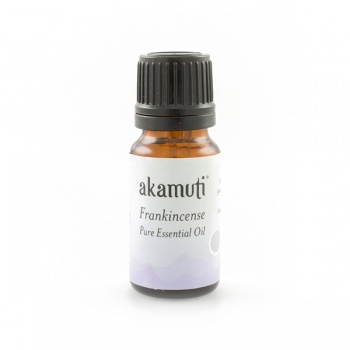 This exotic oil is wonderfully grounding. An ancient oil, it is used to purify and tone the skin. It makes a great addition to a facial oil blend. Rejuvenating and replenishing on ageing skin, scarred tissue and stretch marks. Frankincense has a relaxing effect when inhaled and is a good oil to use if you feel stressed or under pressure. Massage a few diluted drops into your temples to clear the head and melt away everyday stresses and strains.